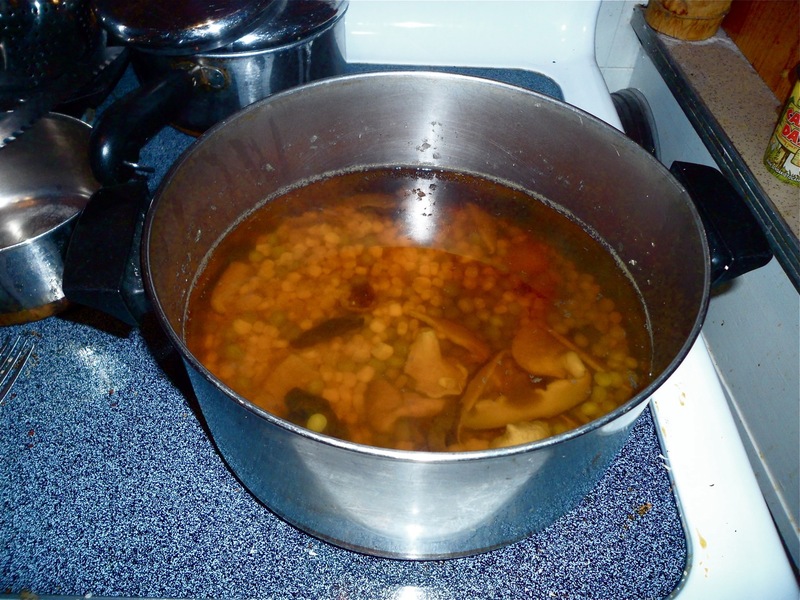 1) Put all ingredients into a large pot and cover them with filtered water so that there are approximately three inches of water above the ingredients. 2) Bring the water to boil and then turn it down to simmer with the lid on for approximately 3-4 hrs (until the vegetables change colour or the broth tastes great). Add sea salt to taste as it cooks. 3) When it's ready, separate the vegetables from the broth using a sieve or vegetable drainer. 4) Use the portion you need and then after letting it cool, separate the remaining broth into small containers and freeze. * Note: If you are not going to freeze any of it, do not leave it in the fridge unused for more than 2 days. This broth is a key ingredient to many of my make-shift meals such as soups, stir fry, pizza, and mushroom sauce and they wouldn't taste nearly as good without it. I hope you all find this recipe helpful and find similar safe organic vegetables to make your own. Stay tuned for more recipes for ICers!